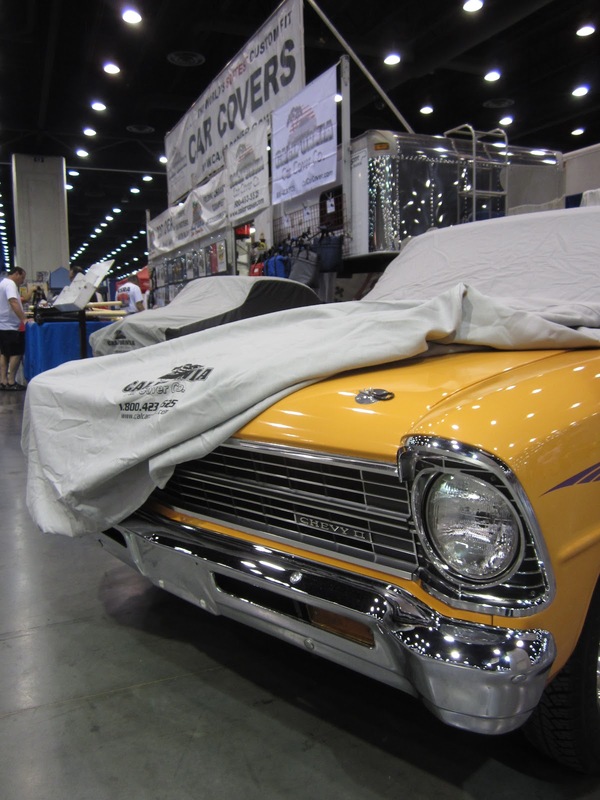 The 43rd NSRA Street Rod Nationals were held this past weekend in Louisville, Ky. California Car Cover has been going to the SRN since we were founded in 1989. 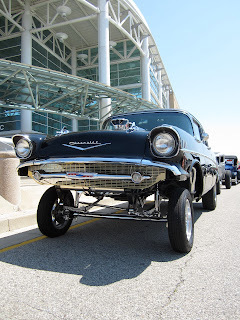 The show attracts thousands of classic cars to the Kentucky Expo Center each year. I had not been back to the show in a number of years, so I came along this year to assist the CCC Crew in our booth. We were busy talking car covers all weekend but I tried to sneak out of the booth when I could to snap some pics and video. Here are some of the highlights. Do you follow us on Instagram? You should! Just look for Tony DeFrank and calcarcover. I post quite a few photos there that do not end up on the blog or CCC Facebook. This cool 1957 Chevy was a raced and owned by our good friend John Barkley from Street Rodder magazine. John sold the car to another good friend of the DeFrank family, Marv Ripes of A-1 transmissions. The car used engines built by Joe Allread, who happened to build motors for some of the old DeFrank & Cohen Hemi cars of the 1970-80s. It was cool to see it on display in the Cragar booth. One of my favorite photos of the weekend. 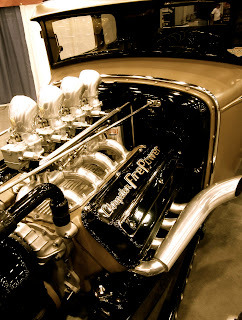 I had see this truck back at the Detroit Autorama. 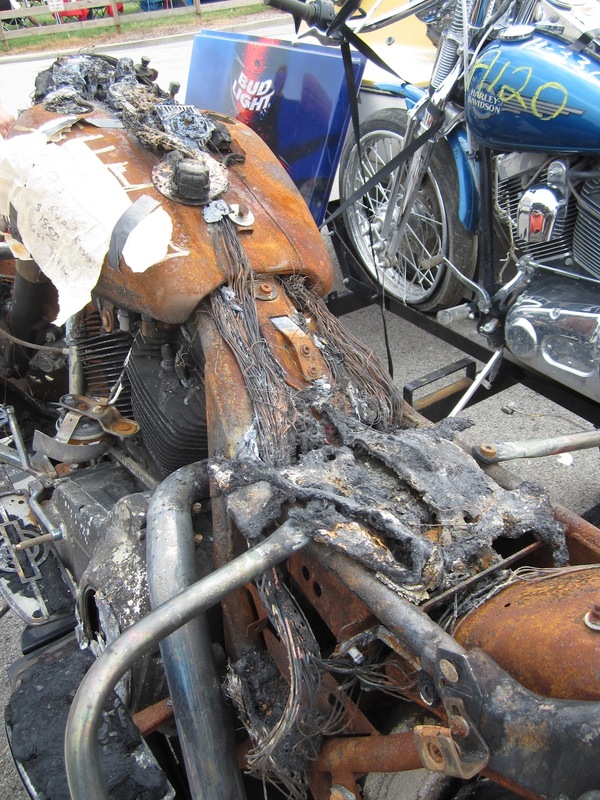 It was based upon a drawing by hot rod artist Keith Weesner. 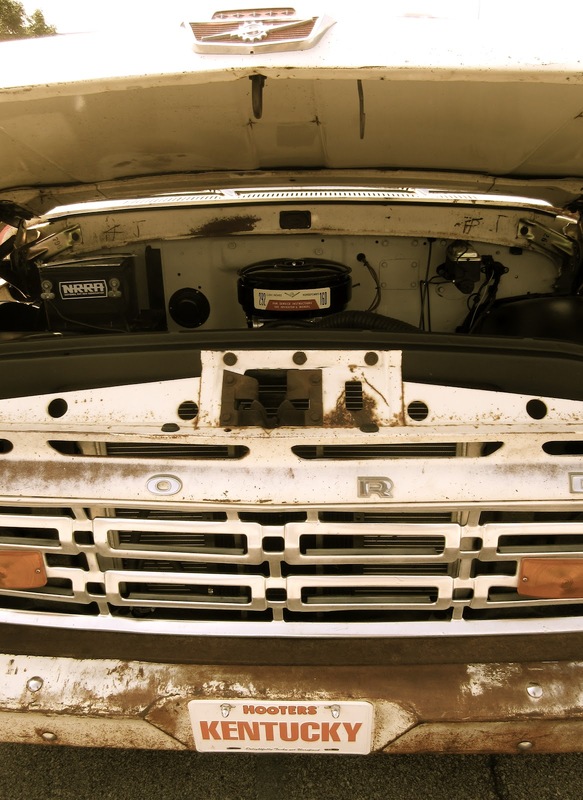 I had just met the owners/builders of the truck inside the hall when I saw the truck parked out front of the building. The Builder's Showcase Hall featured a variety of beautiful custom cars. There were plenty of cars on display at either end of the exhibit hall. The building was packed throughout the weekend. There were about 10,000 cars at the show and thousands of people. They all needed a place to beat the heat and relax. There was even some rain and thunderstorms while we were there so often the crowd escaped to the building to stay cool and dry. Talking car care at the California Car Cover Booth. Another big attraction at the show was the weekend swap meet. 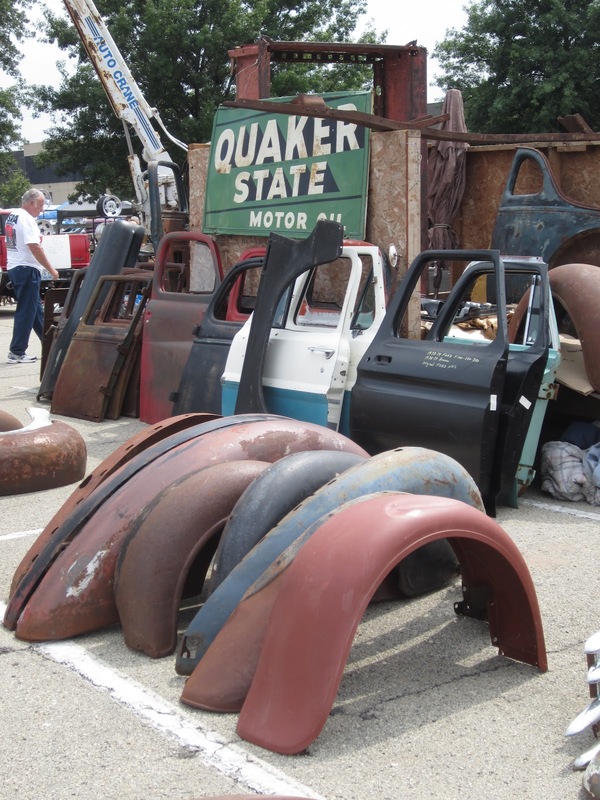 There were plenty of people at the show looking to sell parts, nostalgia and cars. 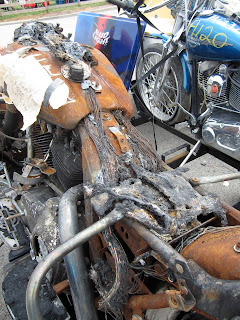 Here are some photos from the swap meet. Clean Nova SS up for sale. 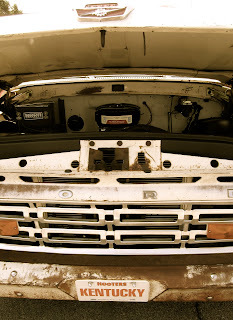 This project needed some TLC. 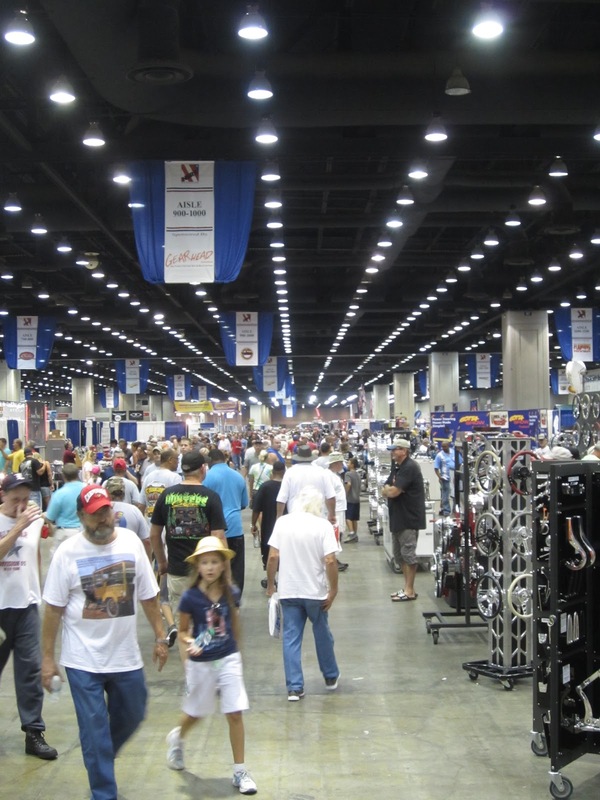 The nice thing about the Kentucky Expo Center is that there is a lot of space...a lot. 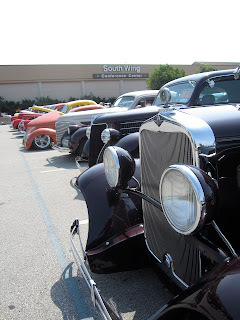 There is parking and grass all over the center so car clubs have plenty of room to park and put up canopies for shade. You could spend an entire day+ walking around the show and not see everything. It appeared that the best way to get around the show was on the tractor pulled trailer. 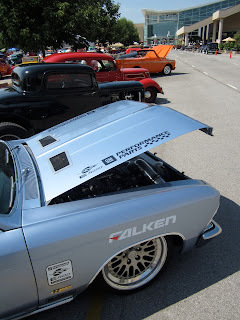 It was nice to see a lot of cars that I have not seen at car shows this year. I have been to plenty of events this year and it was cool to see some different cars. The new "Rolling 30" rule at the Street Rod Nationals attracted a lot more muscle cars to the event. The rule allows owners to drive in their car that is at least 30 years old to the show, which was previously restricted to older classic cars. Wait a second. I think I know a few members of this family. Here is a short video of the action from Louisville that the CCC Crew and I put together. Some of the guys and I at the end of the day. I had a great time in Louisville. 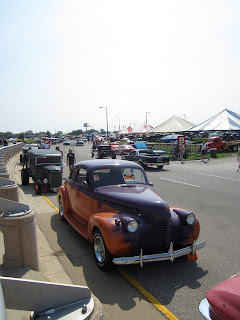 I was able to see some friends from street rodding and drag racing that I had not seen in a number of years. Check back here next week for highlights from the upcoming Pomona Swap Meet, plus coverage of the Monterey auctions and historic races in two weeks.